The presence of negativity – negativity on the surface of the body, negativity within the body itself – should be cause for celebration, for the self can state quite clearly, “I feel these energies, the denseness…I can almost see it – they are oppressive, they cause my body to tighten, to ache, to swell, to malfunction. It is with great joy that I welcome their presence; for I see opportunity is at hand – to learn and then to release these energies, so that no further damage may be experienced by my body. It is this perspective that I seek to instill in each of you, to recognize that the presence of negativity represents opportunity to the self to be different, to learn, so that understanding may be accomplished and then shared with others to aid and to ease another’s journey, as service, repaying the Teacher for the assistance provided to the self. It is difficult for the student to make this shift, for it is a mental, an emotional and indeed, a physical shift. The physical body learns to deal with the energies, to manage the pain. The mental body learns to stop amplifying the pain, to simply provide message to the self, “The pain is present. The pain is still present. The pain remains present.” – so that the self remains informed that the lesson has yet to be learned. It is the emotional body that requires the greatest effort of the self, for it is the emotional body that amplifies the pain, “I have a slight headache.” One hour later, “I have a terrible headache.” Two hours later, “My head is killing me.” Three hours later, “I cannot bear this pain any longer. It is one day, two days, three days, four days, five days, six days present – I cannot bear it” – and the focus is now upon the pain, rather than the location of the pain, rather than the purpose of the pain; for the pain is only elevated when the Teacher feels that the student is ignoring the lesson. Energies brought forth and enlivened provide the student only with sufficient pain to encourage attention to that which has been brought forth; the Teacher does not seek to damage the self, the Teacher seeks to garner the attention of the self. The presence of the energies upon the surface of the body oftentimes can become caustic, can be damaging, if the student does not pay heed to the lesson, if the student does not attempt to learn that which has been presented. It is important for the self to recognize that when energies are drawn forth by the Teacher that their presence over a period of time can be adjusted to mentally and emotionally; it is a small pain that grows, thereby increasing the self’s tolerance to pain, thereby encouraging damage by these energies for the self who fails to understand the lesson and to then release these energies that are causing damage. Recognizing that the self need call upon the Teacher for assistance whenever the self is struggling, whenever the self is unable to determine the lesson, so as to prohibit damage from occurring when these energies are present and active upon the surface. It is to understand the lessons associated with each area of the body. It is to recognize the activities that cause the body to struggle. It is to realize that the mental [and] the emotional demands often tax the physical body. It is balance that is being sought. It is the body, the physical body’s demand to be accepted, to be embraced as equal partner to the mental, to the emotional, to the self. It is to recognize that all pain that emanates from the body is lesson – either active lesson or failed lesson accumulation. It is pain that need be understood…is there a malady – as with the skeletal system – a maladjustment that need be rectified to aid the physical body, for the physical body can become damaged. The inner Teacher is unable to repair this damage until the lesson has been learned; there are humans placed upon this planet that can ease the pain - that can aid the self by remedying the maladjustment, by remedying dis-ease, providing the self with additional opportunity to learn in future. Ignoring the problems of the body is not suggested, for this often results in early death of the housing. It is to recognize that failed lesson creates negative energy that is embedded within the body; the accumulation of failure, without desire to correct the actions of the self to those that would better endorse the physical body, results in illness. The typical student has been storing negative energies within the bodies for decades prior to awakening. The body begins to rebel at this storage; when the quantities have achieved certain levels, dis-ease becomes more likely. It is as the adjustments were made for yourself and Te' Auna – dense energies were released from areas where they had been stored for decades – pain…the emotion of pain, released, freeing the body to adjust itself back to its natural state. Emotion is stored within the body when it is not understood; emotion that is understood is released. It is important for each student to recognize that failed lesson is reflected throughout the body, that the inner Teacher has done its best to store these energies in areas that would provide clue to the self of the lessons that are being failed. Often, other areas need be utilized to prohibit debilitating dis-ease. It is for the student to ask in the meditative state –“What is this pain? What does it represent? How may I understand the lesson at hand? Please present another and another and another, until I see that which you are trying to illustrate for me. Unfortunately, the typical student becomes upset, focused upon the physical malady, determined to eliminate the malady versus understanding the reason for its presence. It is important for each student to ask the inner Teacher if there is anything that can be done by the self to aid the physical body and to then turn the attention to providing just that, so that the physical body can support the goals of the consciousness. It is partnership that is needed between the self and the physical body, for if the physical body has been informed that the self is indeed desirous of learning the lessons, disease can be held at bay, awaiting the time that the self has determined that the life experience is acceptable to the self as it stands and that change is no longer desirable. It is important to understand that the mind plays tricks upon the self. The memories of the self being broken, battered, devastated have been emphasized by the thinking for many years. The view of the other – diminished, less than that which was previously held when the relationship was viable, when love was present. It is the self’s inclination to diminish the other. It is the self’s inclination to minimize behaviors of the self. It is the self’s inclination to inform others of the suffering that has been experienced by the self and to forget that suffering may have been experienced by the other as well. It is the self’s inclination to forget the self’s behavior - to cast aside the self’s responsibility, to draw forth the input of the other, to amplify the behavior of the other, so that the self’s own behavior is dwarfed within its shadow. Do you understand? It is the romance that is associated with all stories that you tell of yourself and your previous relationships, my sister - that the self was damaged or the self was not, the other was unworthy, or the self was pained to admit that the self could not bear to remain in relationship with the other, due to the failings of the other. To recognize the failings of the self, the self must be willing to view the behaviors of the self - what it was that the self was seeking within relationship, what it is that the self received, what it is that the self has stated that the self failed to receive, what it is that the self decided that the relationship was no longer of value to the self because the self could not receive. Do you understand? It was the ravenous monster that lied within - the parents could not fill, the friends could not fill, the other - the loved one, the beloved - could not fill, for this was never intended to be filled by another. Do you understand? Student: I see. Yes. I wanted someone else to do what I was supposed to do for myself. You are correct. It is focus upon the pain that endorses the pain. It is the passage of time alone and the fact that you were even unable to determine the exact time period my sister, that states that the self relies upon story to maintain the feeling that the self has been damaged, that the self has suffered. Do you understand? It is when you look at the experience impartially, as the objective observer, that you will begin to see that you too had a period each month, my sister - yours was far more protracted than the other’s; those times when you felt joyous is when the other mirrored your behaviors back to you, in hope that you would see, you would begin to understand the darkness that was present for the self the majority of the time. It was the unhealed portion of the self that convinced the self that it was the other, never the self. Do you understand? Student: I do. I suspected as much. Failure to see the self has plagued you, my sister. Possibility has been presented for this to be different in future. Do you agree? Student: I agree. I am very grateful for that. It is willingness that need greet the knowledge, for if the self is willing to see the self, the Teacher will draw forth adequate example for the self to be seen. The consciousness that has chosen the lesson plan of The Teacher often becomes the student of Osiris, for it is my goal to teach this consciousness how to teach; this wholly physical lesson plan is intended to bring forth the ability to feel with the physical body. It is rare that the individual is capable of doing so, for many, many lifetimes have typically been expended damaging the physical body’s ability to feel. This individual is typically aloof, holds the self aside from others in an attempt to prohibit damage, future pain; for the lessons have been many to teach the individual to remain open to all lesson, to feel the pain, to examine it, to understand its quality, to be able to assess its quantity and the self’s ability to tolerate that which is being imposed. As the consciousness begins to learn, begins once again to feel – it is then that I bring forth lesson to teach that which has been forgotten, that which has been eliminated from the self’s experiences, for the self has chosen to defend and to protect the self, to prohibit pain. 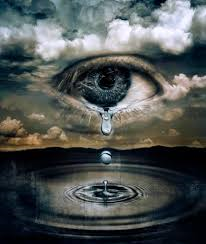 Recognition that pain is a part of the human experience enables the consciousness to remain open; this openness allows the self to feel that which is being experienced by another and for that feeling to be easily discerned as that which does not belong to the self. The teacher that is able to connect with the student, to feel the energies being felt by the student, is one that will be capable of guiding the student to recognition of that which is transpiring for the self within each body. This is the goal for the teacher – to connect with each body belonging to the student, so that understanding of that which is most needed can be achieved. As has been stated this day, the journey – that which leads the self to know and to heal the self – is a long, painful, and most arduous journey. It is only for the fittest – fittest of mind, the fittest of spirit. The body is typically not very fit, for it has suffered through its assistance to the self by storing those energies belonging to failed lessons – that which is referred to as emotion, dense energy; these energies result in pain, often malady is suffered known as illness or disease. The self succumbs to the pain, stating that the self has not the energy necessary to be different. The Teacher waits for the student to step forth, to recognize that the pain has been caused by the student’s failure to address that which has been presented. Should the student decide that the self does not have the energy to be different, the Teacher may provide opportunity for the pain to be lessened by calling forth a professional – one who may aid the physical body in shedding some emotion. Or the Teacher may call forth an individual that will draw forth emotion; emotion that has been covered, inactive, untouched, unrecognized – that which lies at the root, that which is the seed responsible for the pain being experienced. It is for the student to observe the pain, to recognize the memories that are being drawn forth and to be willing to learn the lessons that have been failed many, many times previous. Should the student do so, the Teacher has been empowered to release these energies permanently from the body, thereby enabling healing, which could be immediate or could require additional time in order to be restored to its original functioning. I speak in terms of the organs as well as the skeletal components; suffice it to say, the Teacher can effect whatever is needed for the self to be successful. It is to have faith that all that is being experienced is indeed necessary, is intended to strengthen the self – never to break the self, is intended to draw forth the will – never to destroy the will. The student that allows emotion to cloud the mind, prohibiting clarity, is the student that believes that the Teacher is torturing the self mercilessly, that the self will never be provided with what the self wants; the self shall never experience joy, the self shall only suffer. Suffering is indeed necessary. The student that is unable to embrace that the self will suffer in order to move forward upon the path to healing is one who shall continue to struggle, is one who shall continue to fail. It is indeed a long and arduous journey pursuing a path that will return the self to the state of divinity that was experienced prior to entering this dimension. The common man is unable to embrace that this journey is desirable, for from the outside looking in, it is filled with misery, sacrifice, pain - the joys of this world tarnished, no longer desirable; rather, the self is focused upon removing the layers that have been placed, creating the burden that now hides the true self belonging to the consciousness. Lifetime after lifetime, the composite shifts, changes, and is provided with challenge, pleasure - both new experience and old, that which has been experienced in previous lifetimes; it is the experiences of previous lifetimes, profound experiences of joy or abject misery that linger, surrounding the new self, drawing or repelling the new self to or from experiences in the current lifetime. Those consciousnesses that awaken and determine that the self is ‘fed up’ with this life, ‘sick and tired’ of existing within this dimension, are those who have endured many lifetimes of lessons that have typically been failed, preparing the self for the lifetime when success can most likely be tasted, if only the consciousness can awaken to the self’s true potential. Failure to recognize that all lesson presented to the self is necessary and need be welcomed – for it is the welcoming that provides the perspective that is needed in order for the student to see that which is truly being presented, that which the self need recognize, that which the self need then act upon. The typical student views lesson as challenge, views lesson as abhorrent, hating every moment of the presence of negativity, failing to see that the Teacher has called forth energies that have been created by the self and stored within the body for myriad reason - to enable the self to learn the lesson, to understand the experiences that came prior, and to then release the energies that were created by the self when the same lesson was failed previously. To feel is the goal for all students; to feel begins with the experience of shock, awe, horror, amazement, dismay, disappointment, depression. The student that judges that which is being felt, rather than allowing the experience, is one that spends considerable time wallowing within the lesson plan rather than understanding that to feel is often a shock, is often unpleasant, is rarely pleasurable. It is the ego that sets the expectation for pleasure – that the self has earned these experiences - and when the experience is not favorable, it is the ego that draws forth disappointment, anger, sorrow in response, rather than allowing the self to feel the anger, the sorrow, the disappointment – to recognize it, to wear it, to taste it, to sense it, so that when the self meets with another who is suffering similarly, the self knows exactly what to do to aid the other. Rather, most humans avoid pain and pursue pleasure with abandon, care-less of those who are stepped upon so that the self may experience pleasure while forgoing pain. The student that fails to experience pain is often the student that inflicts pain upon others, for the self has yet to understand that which has been inflicted upon other; were the self cognizant, it is almost certain that the self would choose to be different.